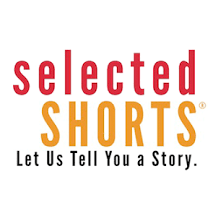 Selected Shorts is one of my favorite ways to pass the time in the car. Their podcast is free on iTunes and has some amazing quality stories and readings of those stories. Their late host, Isaiah Sheffer was one of the greatest voices I’ve ever heard. When I’m writing short stories I often try and hear them read in his voice, because if it doesn’t sound good when he’s reading it it’s likely not going to sound good when a reader is reading it. P.S. By ‘wish me luck’ I do mean that, if you should see me wandering in your general vicinity today you should attempt to rub my belly, like some emaciated Buddha. And if I’m not in your general vicinity you should rub my belly *with your mind*.